My dear sweet Jezabel will always remain alive in my heart. When she was present on earth we were never apart. She came into my life 18 years ago. Together each and every day together we did grow. I loved her so dearly and the memories will never die. She made me happy each and every single day. The memories I have with her will hopefully never fade away. From the time she was a kitten, I called her my Princess because she always needed things her way. Over the years not much changed and in my heart she will stay. Throughout my life, when I was sad I cried in her fur. She always allowed me to do so and continued to purr. I always knew things would be fine when I hugged and slept with my precious cat. Now that you have the left the earth, my heart feels like a doormat. I look forward to the day when I can hopefully see my sweet Jezabel once again. I will remember her in my heart and memories until then. You will never fade away my special furry friend and hopefully in time my heart will mend. 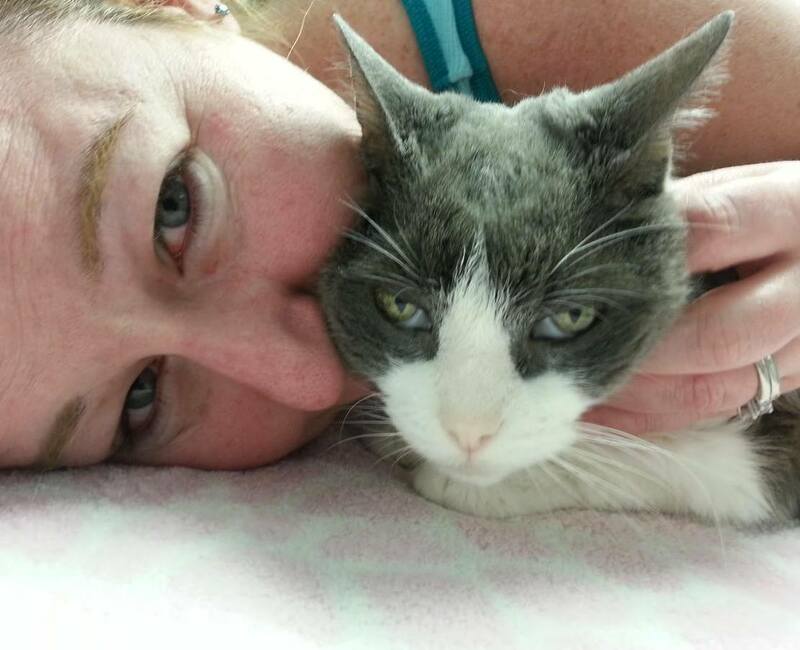 Rest In Peace my dear special friend…Mommy will always love you! It’s terribly difficult when a pet passes. They provide so much for us and don’t really ask for much in return. Thank you for sharing your lovely poem, honoring her and what she meant to you. Don’t forget to always listen with your heart, especially when you head gets in the way! Thank you so much Meli!!! ❤ This means so much to me. 🙂 Jezabel was my precious treasure and she will always remain alive in my heart. I could not let her be in pain. Aww that was soooo cute! Sorry for your loss.. keep your head up high!>. I am so sorry about your loss! May you have an overabundance of tasty kitty kibble and balls of yarn! On angel’s wings, sweet Jezabel. Precious kitty and sweet memories. Thank you for sharing her with me. I feel your pain of missing her and pray you feel better soon. So sorry to hear your beloved cat died.. but glad you have memories in pictures.. Thank you so much for the kind words! 🙂 The pictures are comforting, but I also cry each time I look at them. I’m so sorry for your loss of your precious baby :(. Nothing is quite like the love we feel for our furry children. Keep her in your heart and always know she knew you loved her and gave her a great life. I know how you feel. I lost my Russian Blue Siamese at Christmas. You have 18 years of memories and pictures. Thank you so much for your kind words. I am sorry for your loss as well. The memories will never leave our hearts and minds. Sorry for your loss… its never easy you loved something so much. She was such a sweet girl and she clearly had a very special life with you. Her little soul left with pieces of you and all the amazing things you did for her. Love and hugs to you, my friend! Oh you made me cry. Over the last few years, I have lost several pets. You love them with everything you got and when you have to let them go, it is hard. My heart goes out to you. May you be comforted in knowing they always live on in your heart and memories! Thank you so much Irene. That is such sweet sentiment! 🙂 I appreciate it greatly. I agree Jez will always be alive in my heart and memories:) I am sorry for your losses of your fur babies. Lovely poem you wrote. I am so sorry to hear about your loss..
Awe…. I am so sorry Dani, Sending you hugs. I am so sorry for your loss. Your poem is such a lovely way to remember Jezabel. I’m so sorry for your loss…I know exactly how you feel…Love the pics…What a great way to celebrate her life! Thank you Tori, Heart broken, but I must push forward! Sorry for your loss! The love of a pet! Thanks Veronica. Loved her soooo much and always will! thanks for sharing your soul stiring poem Daniele. We will miss our little fur baby, but her memory will live on. Always! Her spirit will live in our hearts! ❤ We always have memories and pictures! Big hugs and wishes for many fond memories. May you feel peace soon! Thank you so much Loretta for the kind words:) ❤ I miss her soooo much!! Awe Danielle, I’m so sorry for your loss. She was such a pretty kitty, and she lived such a long life, it’s easy to see that you took such good loving care of her. It’s so hard to lose a pet, especially when they’ve been in your life for that long. Your expression and poem was beautiful, thanks so much for sharing with us. I am so sorry for you loss. They are like family. Yes~!! Tears will not stop coming.. I am sorry for your loss. I understand and have been there myself. Prayers are with you! I’m sorry. I’ve been through this many, many times and it never gets easier. Just remember what a wonderful life she had because of you.